The 3/6/19 AFL-CIO Labor Wire newsletter focused on recent media industry layoffs. Under the subject line “A stronger free press,” Labor Wire reported the following. In the face of a media industry that is shamelessly slashing newsroom staff, journalists are joining together in droves to fight back for dignity on the job, economic stability and a stronger free press. Even as they increasingly are harassed and vilified by the people they cover, journalists continue to face an onslaught from their own industry. Newsrooms cut some 15,474 jobs last year, a 281% increase from 2017 and the highest number since the Great Recession. 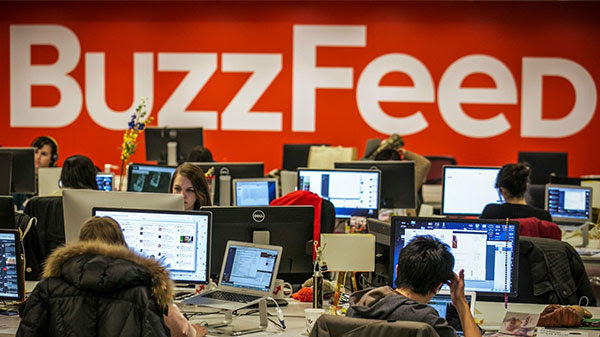 That trend has continued into 2019, with more than 2,200 media employees losing their jobs at outlets ranging from BuzzFeed and HuffPost to regional and local newspapers around the country. These conditions have only further highlighted the need for strong unions in the newsroom. For example, when unionized HuffPost employees were laid off, their contract included collectively bargained severance packages and fair layoff notifications. Meanwhile, the CEO of BuzzFeed, who long had argued that unions weren’t “right” for the company, tried to avoid paying out unused paid time off to nonunionized, laid-off employees. This type of injustice from management has only further driven workers to solidarity. Only months after layoffs were announced, BuzzFeed employees voted to organize with The NewsGuild of New York. Kim Kelly, a labor organizer and writer, recently wrote about how her union helped her when she was laid off from Vice Media — and why the labor movement is critical for the industry as a whole. You can check out our interview with her on today’s “State of the Unions” podcast.